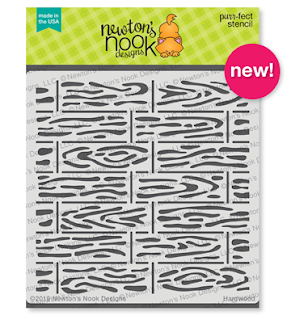 It's time for the April Release from Newtons' Nook Designs and WOW you are going to LOVE this month's release!!! 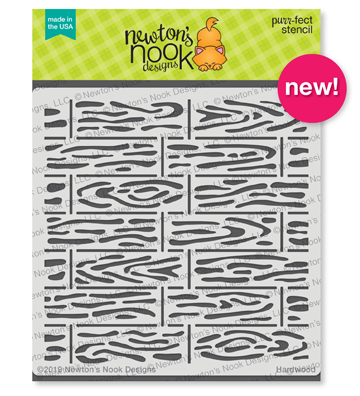 There are so many new products and the Stamp sets are so Adorable!! How cute are those Piggies? I created a watercolor look for a background with some Distress Oxide Inks on a piece of watercolor paper then I adhered the paper to a card base. I die cut the Fence from some watercolor paper as well and used 3 shades of Distress Oxide inks to create a weathered look on it. I adhered it to the background with foam tape. I stamped and colored the images with Copics and used the coordinating dies to cut them out. I adhered them with some foam tape around the background. They are really Hamming it up! Comment on the NND blog and Design Team blogs (see list below)! The winner will be chosen at random from the collective reveal posts. Make sure to check out each of their blogs and comment for your chance to win. You will not know which blog has been chosen so the more you comment on the better your chances are of winning! You have until Thursday, April 11th at 9pm EST to comment -- winners will be announced on the blog post on Friday, April 12th. Love the artsy take on this card and using multiple images on this one card! This is so cute! :) Love your coloring. 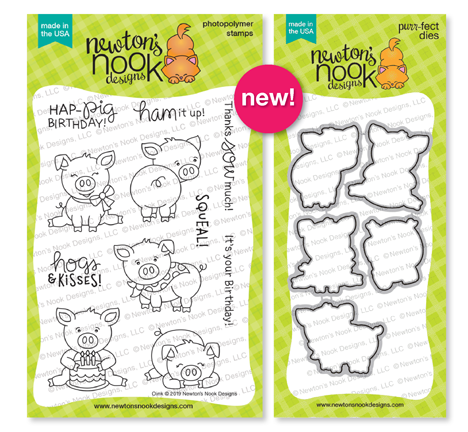 Adorable card and love those cute piggies! 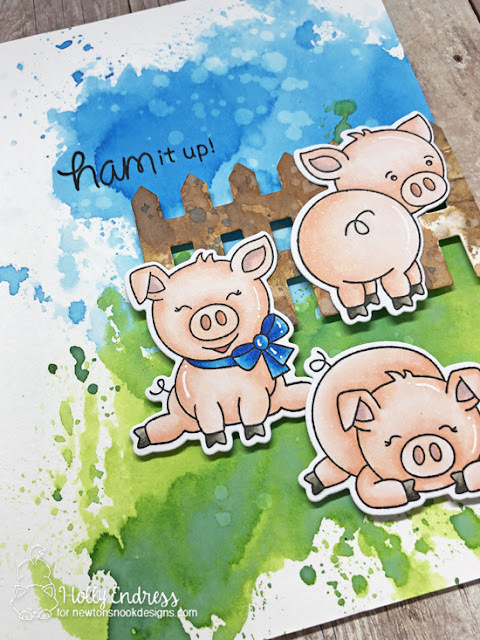 Adorable coloring on the pigs and that background is great! Your background is perfect for pigs. It reminds me of mud, even though it's not mud. It is just perfect!! Love the water color background! The piggies are so cute!! Thank you. Well, those little piggies are about as cute as anything I have ever seen - just love them! I like the colorful background for these cute piggies. This is amazing! Such a fun card! I LOVE THIS SOOO MUCH! I wish you had a video of how you did that background! Adorable piggies! Love the cute scene you created! I love your watercolored background! 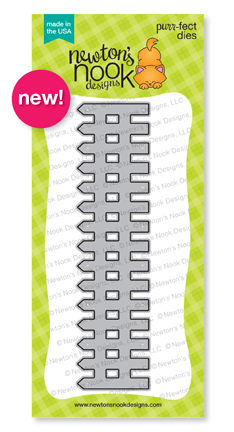 Fabulously fun card! Fabulous design! Love the scene you've created! Oh my!!! Too sweet and cute!!! Your card made me chuckle! What a gorgeous watercolor background for those adorable little piggies. back view of the piggy. Love this card and the piggys! Your inky background looks amazing. Your watercolor background on this card is wonderful. It seems instead of mud, your pigs were playing with color! :) CUTE card! 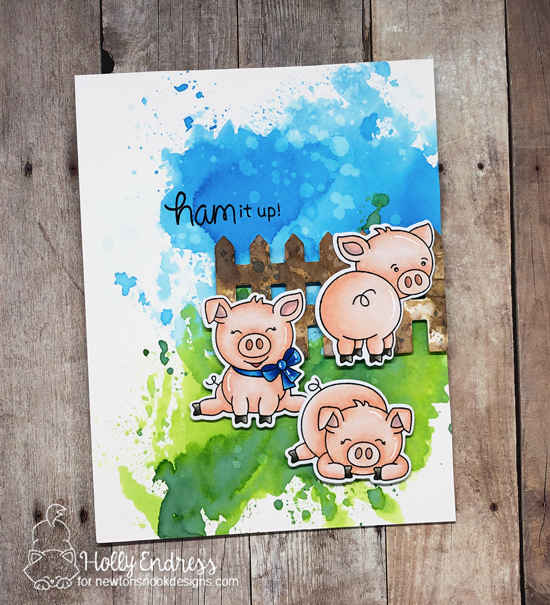 The splatter background is peefect for the pigs!